“sUSB Expo 2014 showed signs of a maturing drone industry,” said Antoine Martin of Unmanned Vehicle Systems Consulting. 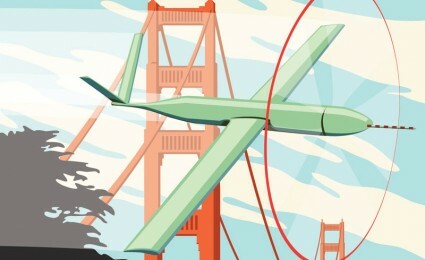 The sold-out 2nd annual sUSB Expo 2014, held in San Francisco earlier this month, focused on small UAVs for commercial use. A large foreign representation (mostly from Europe), supplemented attendees from the movie industry, UAV manufacturers, insurance companies, public users, the FAA, drone startups, and large corporations. “The UAV remains a niche but emerging sector in the US: customers and users of UAVs are mostly new, ROI is unproven for most applications, and repeat customers are rare. And the sUSB Conference was a great place for the shakers and movers of the drone industry to inspire, educate and comfort buyers and stakeholders to buy and sign on the dotted line for investment, partnerships, and sales,” said Unmanned Vehicle Systems Consulting’s Antoine Martin.